The moral of today: never judge a glacial techno DJ by their promotional photos. 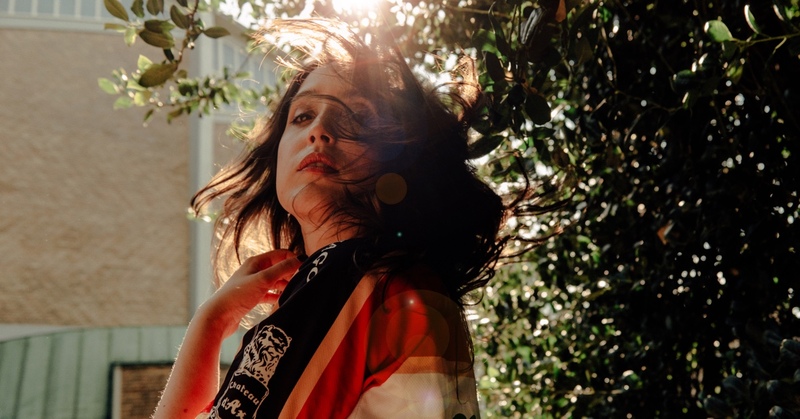 Because the Wednesday-from-the-Addam’s-family-monochromatic look that Helena Hauff sometimes has does not tally at all with somebody who declares that, between shutting herself away in the studio to produce music and spending half the night behind the decks, she prefers the second option, because it is more “social”. But, in fact, we are talking about somebody who, before producing rhythms with Roland synthesisers and other machinery with no built-in obsolescence, grew up listening to The Stooges and other stage animals. So, this graduate from the Golden Pudel knows perfectly well that your noise is worth nothing if there is no one on the dance floor who is willing to put their body and soul into the music whilst you pierce their eardrums.